COPD is a name for a collection of lung diseases including chronic bronchitis, emphysema and chronic obstructive airways disease. It is a progressive disease that makes it hard to breathe. "Progressive" means the disease gets worse over time. 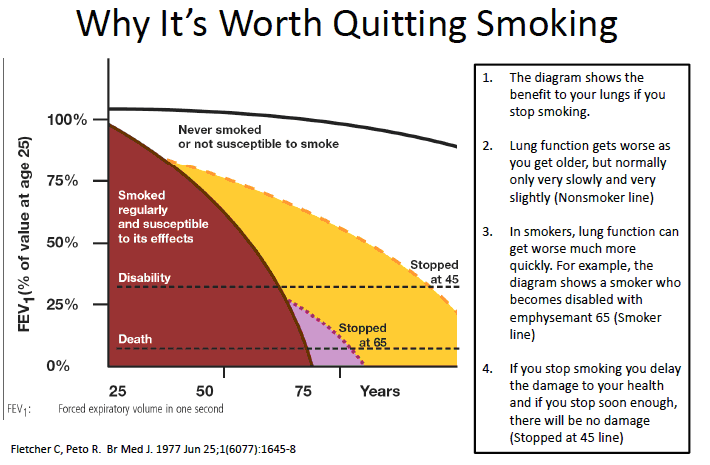 Cigarette smoking is the leading cause of COPD. Long-term exposure to other lung irritants such as air pollution, chemical fumes, or dust also may contribute to COPD. 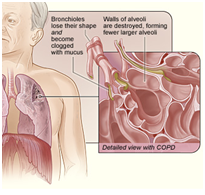 COPD can cause coughing that produces large amounts of mucus, shortness of breath, chest tightness, and other symptoms. The air that you breathe goes down your windpipe into tubes in your lungs called bronchial tubes or airways. 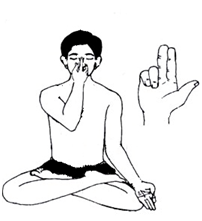 Healthy airways and air sacs in the lungs are elastic they try to bounce back to their original shape after being stretched or filled with air. This elastic quality helps retain the normal structure of the lung and helps to move the air quickly in and out. It is also a good idea to get a flu shot every year, since the flu can cause serious problems for people with COPD. Take Precautions Against the H1N1 Flu-People with COPD may also be at increased risk to become seriously ill with the H1N1 flu (formerly called swine flu). 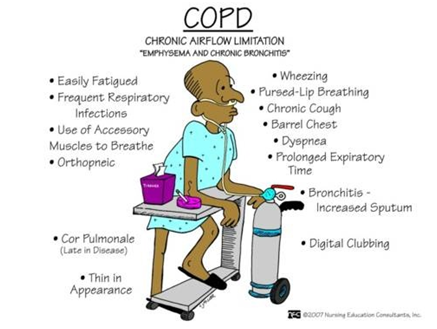 COPD is a chronic life-long condition. Do not forget to take medicines if your doctor has prescribed medicines to manage it. Reduce stress - try to avoid things that cause you stress. Constant coughing, sometimes called "smoker's cough"
When COPD is severe, shortness of breath and other symptoms can get in the way of doing even the most basic tasks, such as doing light housework, taking a walk, even bathing and getting dressed.COPD develops slowly, and can worsen over time, so be sure to report any symptoms you might have to your doctor or health care provider as soon as possible, no matter how mild they may seem. 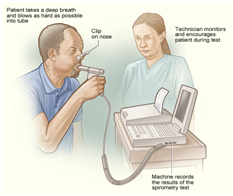 Symptoms of COPD can get worse all of a sudden. When this happens, it is much harder to catch your breath. You might also have chest tightness, more coughing or a change in your cough (becomes more productive, more mucus is expelled), and a fever. When symptoms get worse quickly, it could be a sign of a lung infection. There could be other causes for symptoms getting worse, such as heart disease related to severe lung damage. The best thing to do is call your doctor right away so he or she can find out what the cause of the problem is and take steps to treat it. See your doctor or health care provider regularly even if you are feeling fine. Make a list of your breathing symptoms and think about any activities that you can no longer do because of shortness of breath. Be sure to bring a list of all the medicines you are taking to each office visit. Smoking Quit! Call - the Quit Line, 1800-22-77-87. Returning to work Your doctor can help you decide if your job will affect your lung condition and if you need to make changes. Emotional health As you begin taking charge of your health and making positive changes, you might feel depressed and helpless. However, if negative feelings continue and interfere with your ability to enjoy life, talk to your doctor. Professional counseling might help you feel better. Reduce Stress Incorporate a daily routine to relax and rejuvenate - try to listen to soothing music, chant, read a book or meditate. Rest and sleep If you are not sleeping well, you will have less energy and fewer resources for coping with stress. Developing good sleep habits is very important. Group Support Seek people with similar conditions to help you remain as active and independent as possible and provide emotional support. Avoid crowds and protect against seasonal flus Avoid crowds in seasons which you tend to catch infections. Keep your surroundings clean and free from irritants and allergens. Take your flu shots as prescribed by the doctor. Watch your weight in both directions. Patients with chronic bronchitis may have a tendency to be obese, while those with emphysema have a tendency to be underweight. People with COPD use more energy while breathing than the average person. Therefore, the pulmonary (breathing) muscles in someone with COPD might require up to 10 times the calories needed by a person without COPD. It is important for you to consume enough calories to produce energy in order to prevent wasting or weakening of the diaphragm and other pulmonary muscles. Certain foods can cause problems such as gas and bloating, contain too much fat, or are low in nutritional value. Too much salt causes water retention, which may affect your ability to breathe. Be sure to check the labels of the foods you buy and avoid any containing more than 300g of sodium per serving. 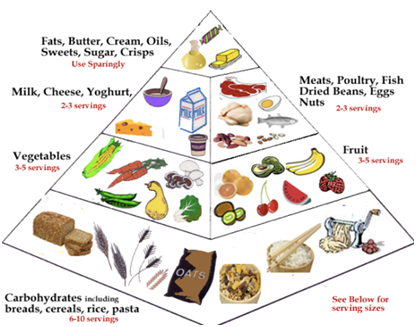 Choose foods which are healthy at the same time high on calories because COPD causes a person to tire more easily consequently require more energy.